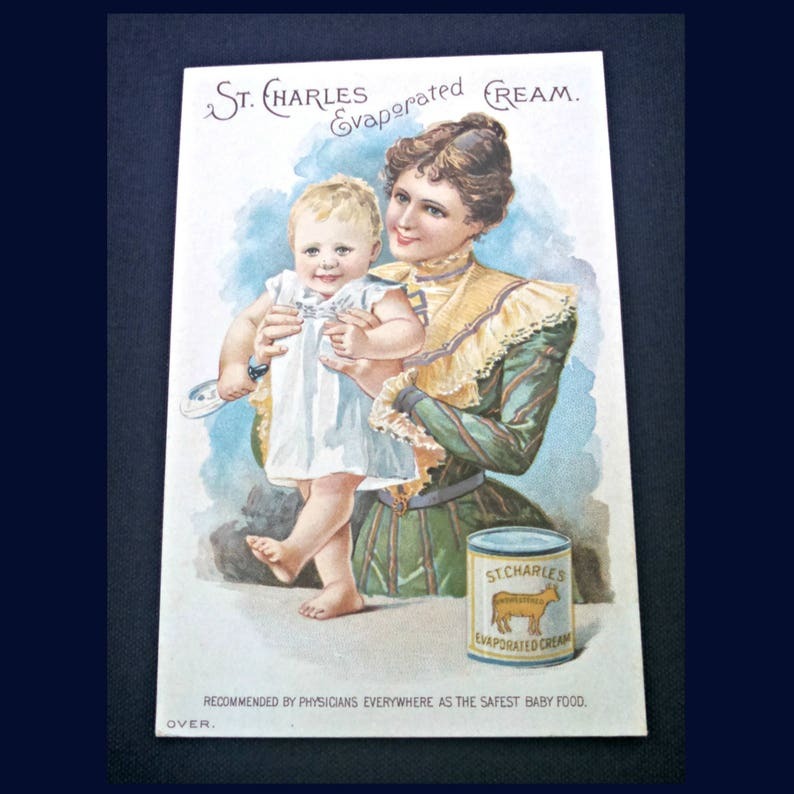 DESCRIPTION: This card was produced for the St Charles Condensing Company to advertise their evaporated cream, similar to our evaporated milk. 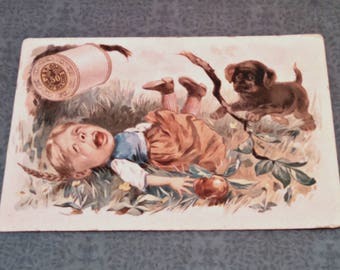 It is made of heavy card stock and has a lithograph print of a woman and infant on the front, along with a can of evaporated cream. The back is white with brown ink, and it explains the product. The bottom of the back shows the company name, city, and state. CONDITION: The card is in excellent condition. There are no rips, tears, bending, or foxing (age-related brown spots). There is a tiny worn spot on top of the back of the card. 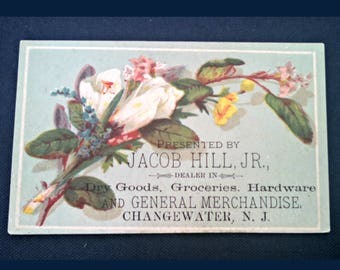 The card was well preserved over the past 120+ years.